Not me, but that's ok! The Stamping Boutique had a blog hop over the weekend - everyone had a chance to vote for their favorite card, and boy was it a tough decision! They were all great! Heide won - check out her fab project! Here is my card. 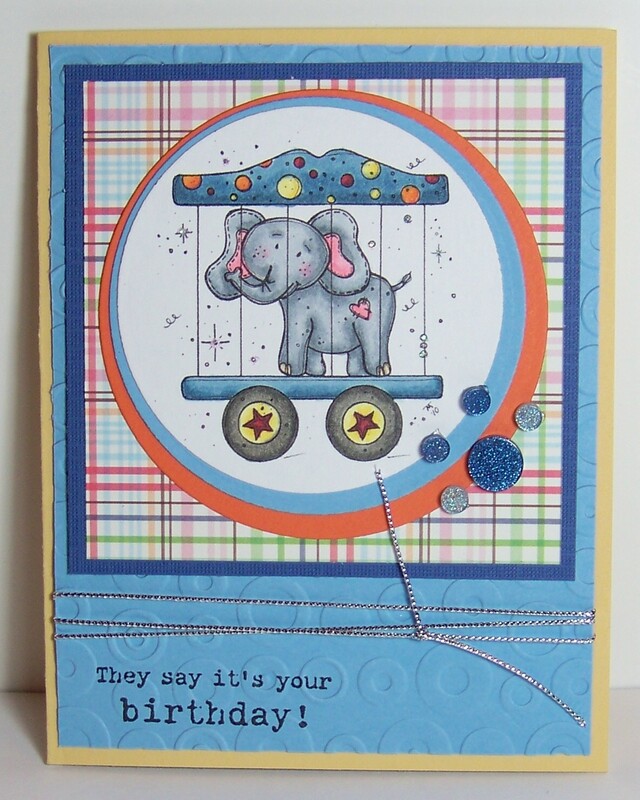 I love this little circus elephant - he's adorable! This is such a fun card! 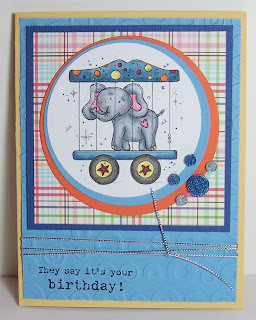 Love the nice, bright colors and embossing is perfect touch! I love who you set your circles off center rather than matting them perfectly.